Dutch printing and labelling company, Telrol BV, based in Almere, has made the successful transition to Pulse Roll Label Products’ PureTone food packaging compliant (FPC) UV flexo ink system in its quest towards a sustainable future. Narrow web ink specialist Pulse Roll Label Products Ltd is poised to make its debut appearance at the Label&Print Show in Birmingham from 27-28 February 2019. UK-based narrow web ink specialist Pulse Roll Label Products Ltd was represented by its Chinese partners Shanghai Value Tech Co., Ltd and ANO at All in Print China 2018 held in Shanghai from 24th to 28th October. Ink specialist Pulse Roll Label Products Ltd joined its partner Jet Technologies for a roadshow which travelled to Auckland, Sydney and Melbourne to present the latest developments in narrow web and labelling. Narrow web ink specialist Pulse Roll Label Products Ltd enjoyed a highly successful show at the inaugural Labelexpo Southeast Asia held in Bangkok from 10-12 May where the company exhibited alongside its exclusive Thai partner, Press Systems Group. Narrow web ink and varnish specialist Pulse Roll Label Products Ltd will exhibit at Labelexpo Southeast Asia 2018 in Bangkok from 10-12 May alongside its Thai partner Press Systems Co Ltd. to showcase innovative ink solutions for the regional label market. Narrow web ink and varnish specialist Pulse Roll Label Products presented its PureTone ink concept last month at a conference hosted by its partner Toàn Ấn Co., Ltd. (TAC Total Print), held at the Saigon Exhibition and Convention Center in Ho Chi Minh City. 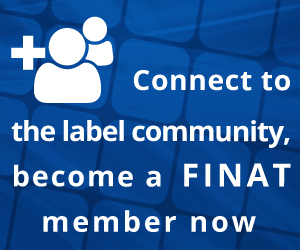 Narrow web ink and varnish specialist Pulse Roll Label Products Ltd is pleased to confirm its participation in FINAT’s Technical Seminar, to be held in Barcelona from 7-9 March 2018. Narrow web ink specialist Pulse Roll Label Products attended the world’s largest international label event in Brussels with its biggest presence ever at a Labelexpo show. A focus on ‘colour’ and ‘coding’ saw over 30 PureTone live colour matchings and more than 250 PureCode laser marking demonstrations take place on stand 3C60, both proving extremely popular with visitors. Ink and varnish specialist Pulse Roll Label Products kicks off Labelexpo with the announcement of an exciting new partnership with Edale Ltd, British manufacturer of high technology, narrow to mid web flexographic and hybrid digital printing presses and converting equipment. Narrow web ink and varnish specialist Pulse Roll Label Products Ltd is set to unveil an innovative and exciting UV screen solution as part of it new PureScreen range which will debut at Labelexpo 2017 in Brussels. Narrow web ink specialist Pulse Roll Label Products Ltd launches a new food packaging compliant (FPC) UV flexo rough texture varnish at Labelexpo 2017 in partnership with Sandon Global, Creation Reprographics and Hamilton Adhesive Labels, as part of a joint tactile coating solution aimed at the craft beer label market and other specialised print applications. Narrow web ink and varnish specialist Pulse Roll Label Products Ltd is to unveil its new high strength PureAqua water-based flexo ink system at Labelexpo 2017. Narrow web ink and varnish specialist Pulse Roll Label Products Ltd is to introduce a completely new branded product portfolio at Labelexpo Europe 2017 to complement its existing PureTone UV flexo ink system. Narrow web ink specialist Pulse Roll Label Products Ltd is pleased to announce it has received Full HD Flexo certification for its flagship UV flexo ink system, PureTone. Narrow web ink and varnish specialist Pulse Roll Label Products Ltd has received verification for two of its core UV flexo overprint varnishes (OPV) by the Rochester Institute of Technology (RIT) as part of the HP Overprint Varnish Performance Program. Narrow web ink and varnish specialist Pulse Roll Label Products Ltd will be unveiling its latest product developments and showcasing solutions for next generation label printing at Labelexpo Europe from 25-28 September 2017 in Hall 3, stand C60.